The theory of ideal types is an important contribution to the specification of the nature of concepts in the human and historical sciences. But why is this subject particularly relevant in the context of a discussion of values and social policy? One reason for the conjoining of ideal types and values is the unavoidable fact of selectivity in the social sciences. Weber makes the point repeatedly in this essay that there is an infinite depth to social phenomena — even to a single phenomenon or event — and therefore it is necessary to select a finite representation of the object of study if we want to approach a problem scientifically. But how do we select a specific aspect of a phenomenon for study? We do so on the basis of a judgment of what aspects are important — and this is a value judgment, either directly or indirectly. In a very specific sense, our interests (material and intellectual) guide the formation of our social-science research projects. “The quality of an event as a ‘social-economic’ event is not something which it possesses ‘objectively.’ It is rather conditioned by the orientation of our cognitive interest, as it arises from the specific cultural significance which we attribute to the particular event in a given case” (64). And a few pages later: “Social economic problems do not exist everywhere that an economic event plays a role as cause or effect — since problems arise only where the significance of those factors is problematical and can be precisely determined only through the application of the methods of social-economics” (66). Or in other words: what constitutes an economic situation as a “problem” is the fact that it has consequences that intersect with things we care about — or our fundamental scheme of values. So the subject matter of “social-economics” is doubly dependent on our interests: our cognitive interests in how things work, and our practical interests in how to promote “good” outcomes and avoid “bad” outcomes. This specification of the concept of an ideal type links back to Weber’s discussion of the value of specialization in the social sciences: “the justification of the one-sided analysis of cultural reality from specific ‘points of view’ — in our case with respect to its economic conditioning — emerges purely as a technical expedient from the fact that training in the observation of the effects of qualitatively similar categories of causes and the repeated utilization of the same scheme of concepts and hypotheses offers all the advantages of the division of labor” (71). In other words, the specialization of research methods and training that is implied by the establishment of disciplines in the social sciences is justified pragmatically rather than epistemically — it is the practical advantage in research productivity rather than the nature of the social world that justifies the establishment of disciplines. This locates the role and justification of the “ideal type” very precisely. An ideal type — of a market economy, of a university, or of a banking institution — creates a selective model of social organization that can then be explored analytically and empirically by specialists. The ideal type is not intended to be a general representation of a category of phenomena; but rather as a heuristic model that permits exploration and extension of some of the characteristics of the concrete social institutions and behaviors that it partially represents. Throughout this discussion is woven the methodological debate between advocates of nomothetic and idiographic interpretations of the social sciences (link). 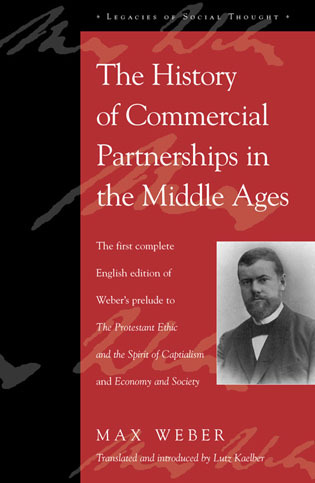 Weber indicates his own understanding of the crucial importance of the individuality and particularity of historical phenomena — without abandoning the viability of discovering limited generalizations and regularities. Here again, the historically detailed ideal type is a better basis for historical and social analysis. This makes a final important connection between the two themes of the essay, objectivity and values. Values come into the social science at the stage of defining and examining social-economic-cultural problems; they come into the choice of subject matter by establishing the framework in terms of which a phenomenon is a “problem”; and they must be invoked in our interpretations of the phenomena when we attribute cultural meanings to the participants. The construct of the ideal type provides conceptual resources for each of these zones of intersection between social-science inquiry and the schemes of values that we humans endorse.